Photo Courtesy: Ben Brewer. Isthmus presents the 38th annual Paddle & Portage. 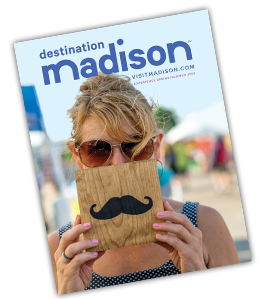 Join Madison’s favorite lake to land to lake race. This year's Paddle & Portage takes place on Saturday, July 29th at James Madison Park starting at 7:00 a.m. with the race starting at 9:00 a.m. Watch racers portage across the isthmus and then into Lake Monona to cross the finish line at Olin Park. For more information on registration and race details click on this page's Visit Website link!